After what has seemed like weeks upon weeks of rainy, gloomy weather, the forecast in Vancouver is finally calling for real sunshine! Anyone from this city will know how precious weather this beautiful is, and I plan to spend as much of it outside as humanly possible. Of course, I’m also looking forward to wearing the summery pieces that have sat in the back of the closet for far too long: here are a few of my new colourful acquisitions that have me extra excited for the final arrival of the long-awaited blue skies! super cute nail colors! beautiful JC wallet! is so classic and chic. Thanks for sharing. Love the shoes and the nail polishes! Love all these items, specially the shoes!!! So beautiful…and they look like they would be so comfortable. I hear you on the sun. BRING IT ON. I swear if I have to bring my boots out again (anytime before September), I’ll have to do something about it. Not sure what. Maybe go to Hawaii? Love the Jimmy Choo Purse! Such a pretty color! 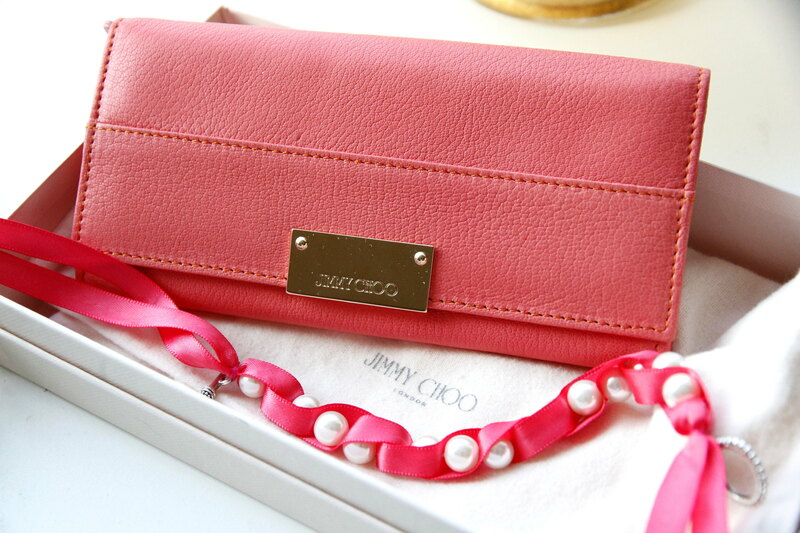 The Jimmy Choo wallet is lovely- the coral is to-die-for! Gorgeous colors and photos! I absolutely love the bright coral color that seems to be everywhere right now. LOVE this post! 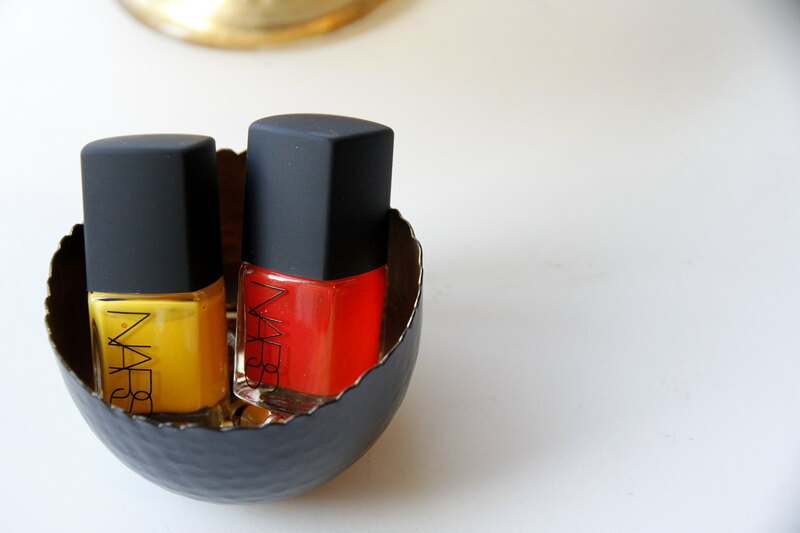 the yellow NARS nail polish is great! I love all the items featured in this post! Those sandals remind me of a similar pair at Zara and that Jimmy Choo wallet is absolutely lovely. Yay for the sunshine! I plan the soak up this Vancouver weather all day everyday too! Absolutely love the clutch and your heels! I’ve been eyeing the NARS summer polishes forever. Gorgeous picks! Those are beautiful shoes ! I have been looking for a pair colour blocking block heels for a while. Gorgeous shoes, and I love those two nail colours too!